Has everyone finished digging out from Jonas yet? We didn’t get much snow at all in Boston, but what little we did get has already almost melted since temps have been in the 40s and 50s! Since it’s Wednesday, I figured it was the perfect time to share about a great documentary I watched on Netflix this past weekend. 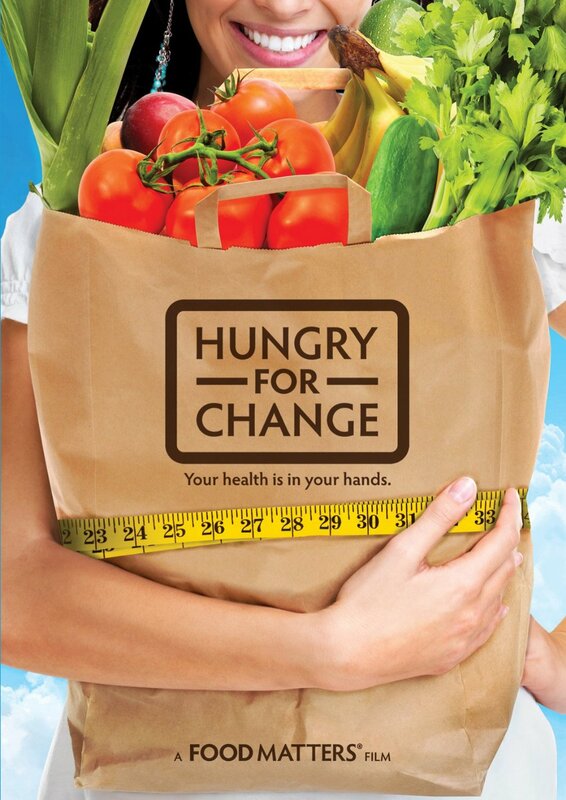 It’s not a new movie (came out in 2012), but have you heard of Hungry For Change? (link to trailer here) The movie explores the food industry and the constant cycle of dieting/gaining weight that we seem to have gotten stuck on as a society. I normally shy away from watching food documentaries (I don’t like to be grossed out), but this one pleasantly surprised me. It wasn’t so much about unsanitary or unsafe conditions in the food industry, but instead focused on all the chemicals and artificial additives that have been added to food over the years. It’s gotten to the point where what we think of as “food” barely resembles food from 40-50 years ago! Just try to pronounce all those chemicals listed in the ingredients. One of the most interesting points of the movie was that all these artificially processed foods have been specifically designed to be addictive. Just as cigarette companies realized they could add more nicotine to their cigarettes to make them more addictive, food companies know our bodies are designed to react strongly to certain flavors (salty, sweet, fatty), and engineered ways to exaggerate all those flavors. After all, an addicted customer is a customer for life. Now, I’m not trying to be preachy or claim that I have the perfect diet – I think if I had to pick a favorite food, it would be cheesecake (specifically chocolate chip cookie dough cheesecake from The Cheesecake Factory because that stuff is a little slice of heaven). But watching this movie made me realize what a crazy hole we have truly dug ourselves into as a society – everyone is eating more calories from the heavily processed food, but these foods are less nutritionally dense, so you feel hungry again quickly and then eat more calories. So we gain weight, and then try to drop it all with crash diets, which fail a few weeks later. As a society, we get fatter while becoming more obsessed with being skinny. I’m not making this sound very uplifting, am I? I swear, it ends on a positive note! And as far as documentaries go, I found this one to be really engaging with a lot of fascinating interviews. The movie has also really motivated me to stick with my clean eating/semi-paleo resolutions. There are always temptations, but now I find myself really thinking about a food and checking the ingredients before I eat it. Hungry for Change is available on Netflix Instant and Hulu, and is $2.99 on iTunes. I would definitely give it a try (especially if you’re on a New Years diet right now!). And if you are in the mood for a little healthy inspiration, try browsing this list -> 12 Netflix Documentaries that will Make You want to be Healthy via Popsugar. Have you ever seen Hungry for Change? Do you like documentaries? Got any good documentaries to recommend? 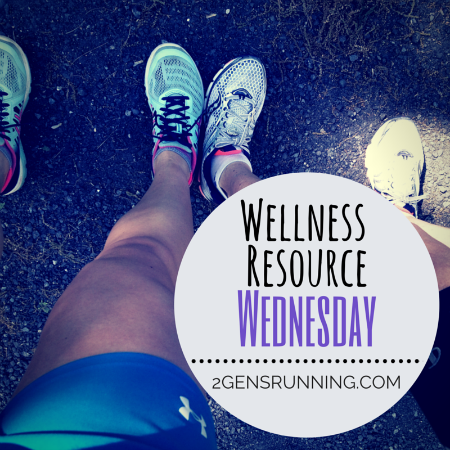 This entry was posted in Wellness Resource Wednesday and tagged 2 Generations Running, Clean Eating, Hungry for Change Review, Paleo, Wellness Resource Wednesday. Bookmark the permalink. Very interesting. Coincidentally, our CSA (community sponsored agriculture) organized a viewing of a movie called Fed Up last night. This food documentary focused primarily on the added sugars in our food and the way the sugar industry hides all that sugar using different names etc… It was very interesting and a bit scary, particularly the parts about the menus for school lunches. I admit I have a real sweet tooth, including cheesecake 😀, but I’m definitely going to be more careful about where I get my sugar. But I would highly recommend this food documentary as well! I really liked the movie Hungry for change. I thought it was well put together. It’s hard to believe but our snow in Southern NJ is almost melted already. We have highs of 40s so it’s disappearing fast. I think I would like this documentary, especially because of the way I like to try to eat. I try to follow a Paleo diet, which to me mainly means eating clean, whole foods. I limit my carbs and try not to eat refined carbohydrates and mainly try to eat real food. I am not 100% paleo, thus why I call myself “Paleo-ish”. I will definitely be checking this one out. With all of that being said…I still love me some greasy french fries or straight up junk food. Candy. Ice Cream. Ugh. The struggle is REAL. I would love to see that doc. I watched Fed Up on Netflix which is also good! I recommend that as well!